Our school district has started down the path of Instructional Rounds (IR). So far I am excited about what this will mean for our school. For those that do not know, Instructional Rounds is a process adapted from the medical rounds model by Dr. Richard Elmore. 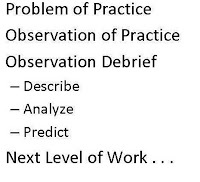 The overall practice takes into consideration the problem of practice in a school, then take the data obtained through unbiased observation, derive a conclusion, and come up with a plan of action to direct what goes on in the classroom. You can find more about it from the book Instructional Rounds in Education A Network Approach to Improving Teaching and Learning by Elizabeth A. City, Richard F. Elmore, Sarah E. Fiarman, and Lee Teitel, or read Elena Aguilar's great overview on her blog. The value that IR brings to a school, is that it can help identify more clearly a problem of practice in the classroom. The focus of IR is on the teaching and the task at hand and not the teacher. By getting focus off of the teacher, and by including teachers in the process, the school can come to a conclusion that is derived from data, instead of opinion. It is the concept of the task at hand that really appeals to me. What task are we asking students to do? At what level of learning do the students complete the tasks? The answers we found are allowing to focus in on what is really important to us as a school. It is helping us to understand that there needs to be a level of higher order thought process in our schools. Common Core (CCSS) is just around the corner and there are a lot of talk surrounding the implementation of CCSS. The more I get to know about CCSS, the more I come to understand that it is ultimately about the tasks that the student will be doing that will require a higher order thinking process. That students will have to learn to develop critical and creative thinking skills, that they will have to communicate and collaborate with others. Implementing CCSS, means that teachers will have to change how they teach in their classrooms. This is a big change for most teachers, as for the last eight years, most teachers have been told to teach a specific way, when to teach it, and how to evaluate it. In the race for standardize tests, we have dummied down our students to become recall level thinkers. We have not prepared them for their own future. This is why I believe that IR should be part of any school districts CCSS implementation. If administrators and teachers do not understand what is happening in the classroom, they will have a harder time implementing the changes that CCSS requires. 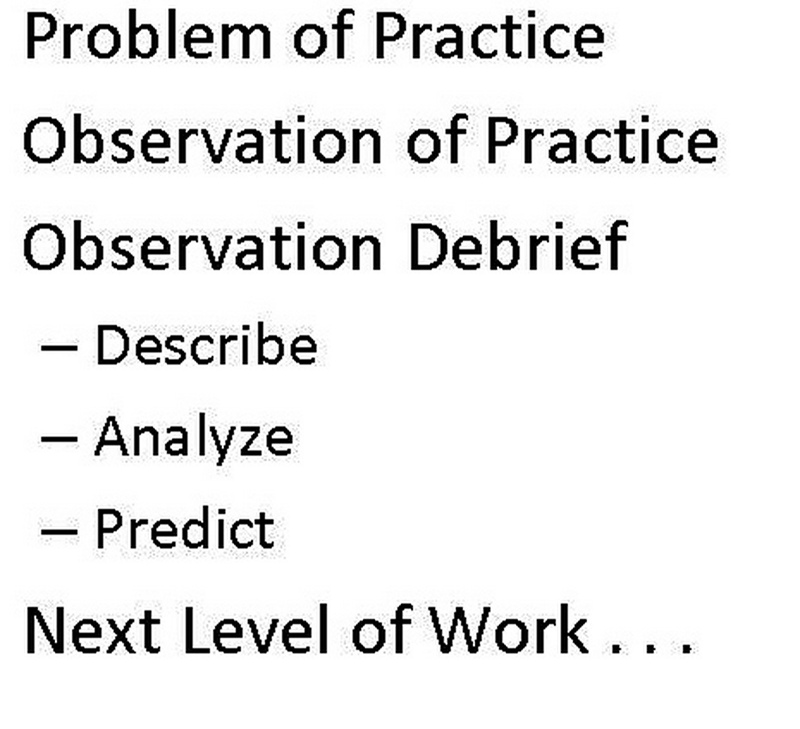 We have to be able to evaluate unbiased observable data in the classroom to gauge if any one strategy is working or not. Change needs to be managed, IR provides a feedback process that is backed by research, and it is the feedback process that is needed to provide for better control over the implementation of change.